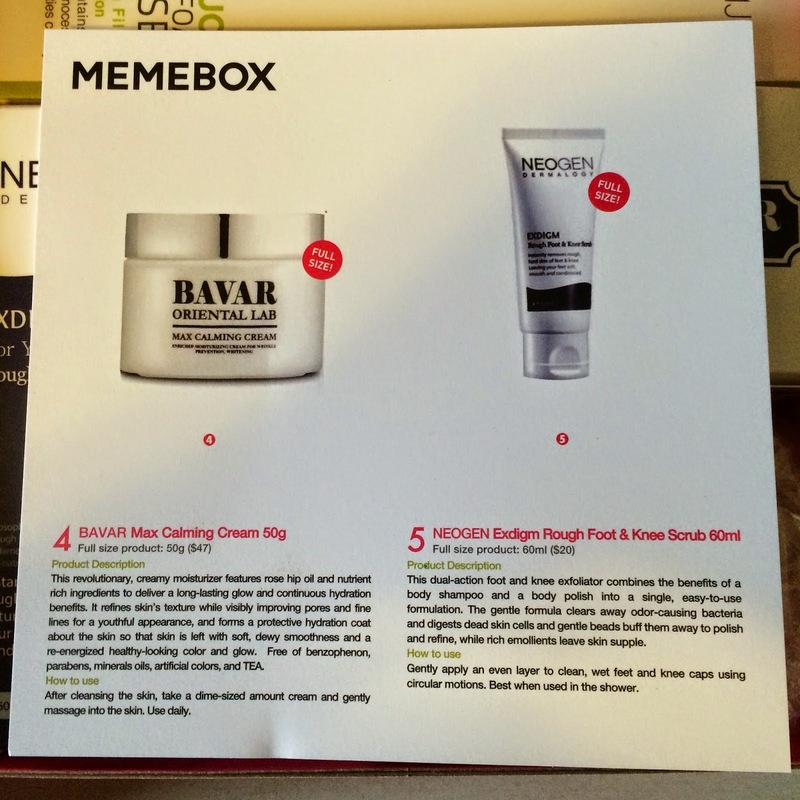 This is the "Baby Soft Skin" Memebox - said to contain products to heal dry, rough and dull skin. Being winter with the cold and wind taking a toll on my face, I thought this would surely contain some products useful even to my normally oily face. This deep cleanser removes dirt and impurities while retaining moisture within the skin. I'm so overloaded with cleansers right now, and tend to be averted to foaming cleansers such as this because they tend to have a high pH that causes my skin to break-out. However, I'm a huge advocate for snail mucin and it's repairing properties to the skin, and love other Dr MJ products I've tried - so I will put this in line. In the past I purchased a large assortment pack of these that came in the cutest take-out box. There is not one type of these packs that I didn't enjoy for one reason or another - so of course I was excited to receive this in a Memebox! This particular modeling pack is hydrating and firming, and leaves my skin feeling soft and smooth. I mix 5 tablespoons of water with the cup and apply it to my face and neck. If you only want to use it on your face, split the pack in half into a bowl and add 2-3 tablespoons of water and get two uses out of a single cup! A pre-makeup solution to dry patches, dark spots, and tired skin. This serum has a nice consistency that leaves the skin glowing while it traps in moisture to help your makeup look better on your skin. I enjoy this product in the mornings so far right before I prime my face for foundation - but I *think* I smell alcohol in it, so I'm very cautious about new acne showing up and will update if this product causes any face demons. This is a pretty standard cream moisturizer from I can tell. It's main purpose is to heal dry skin and keep it hydrated. It contains rose hip oil which is safe for all skin types - so there's nothing to really complain about here. It is a bit much for my oily skin during the day, but I've been using it at night and I wake up with hydrated, soft skin. Hooray! This is a nice scrub. I worry about scrubs specifically designed for feet being too abrasive - but this one is nice and I actually wouldn't oppose to using it on my arms and legs if I didn't have other [specifically super gentle] body scrubs in my shower at the moment. So just using this on my feet has softened them enough to where I am no longer thinking I need to use another foot peeling mask already. I like that my feet are soft enough after a shower now where I can apply lotion and my feet really do feet soft. This is a great foot scrub! 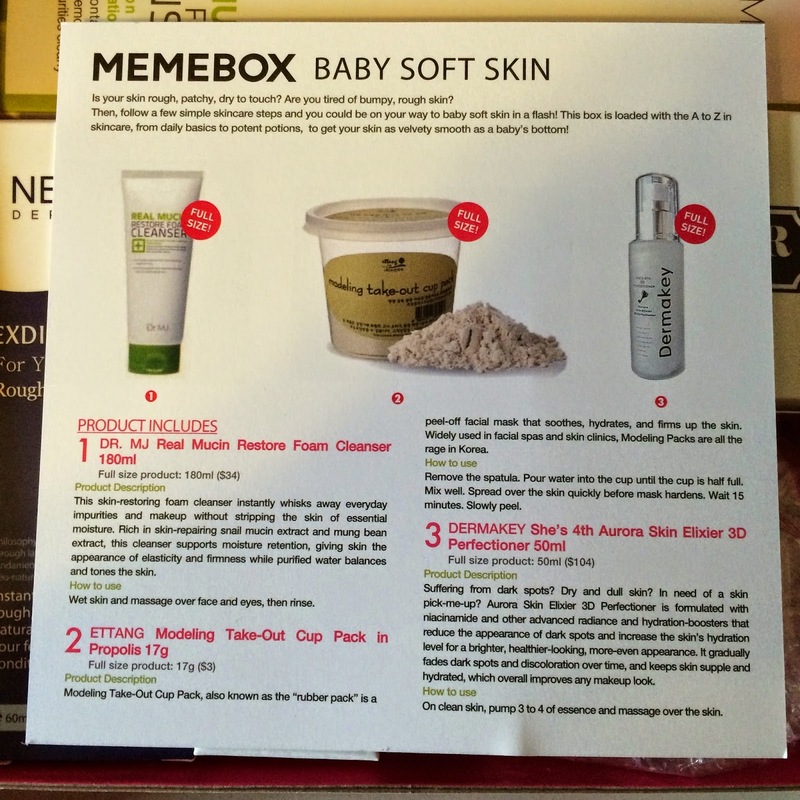 Do you have any thoughts on the "Baby Soft Skin" Memebox?